Oil markets are looking increasingly oversupplied, and crude prices are beginning to reflect some analysts' biggest fears. Oil fell yet again on Tuesday, with the string of losses starting to mount. WTI fell below $60 and Brent fell below $70, hitting fresh one-year lows in the morning. Saudi Arabia is trying hard to stop the price declines, but it is going to need to convince OPEC+ to do more at the upcoming meeting in three weeks’ time. OPEC slashes oil demand forecast. OPEC cut its oil demand forecast for 2019, the fourth consecutive month that it has done so. 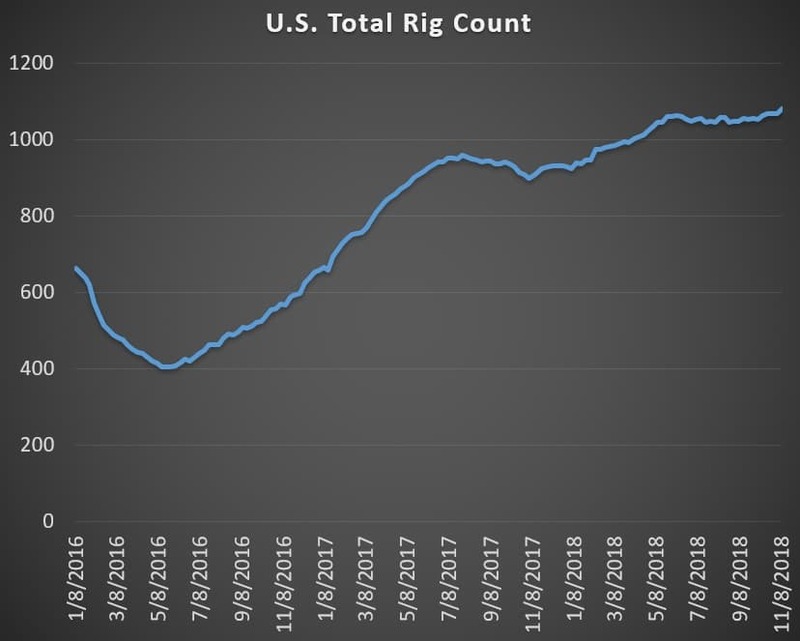 The cartel now only sees demand rising by 1.29 mb/d in 2019, down another 70,000 bpd from last month’s forecast. At the same time, non-OPEC supply is expected to grow by a massive 2.23 mb/d next year, an upward revision of 120,000 bpd. “Although the oil market has reached a balance now, the forecasts for 2019 for non-OPEC supply growth indicate higher volumes outpacing the expansion in world oil demand, leading to widening excess supply in the market,” OPEC said. OPEC supply rises despite Iran. Total OPEC production jumped in October, as Saudi Arabia and the UAE more than offset the declines from Iran. Iran saw production fall by 156,000 bpd, and Venezuela suffered another 40,000-bpd monthly decline. But Saudi Arabia added 127,000 bpd and the UAE added 142,000 bpd. Combined the entire group’s production edged up by 127,000 bpd. As the market expected supplies to tighten due to Iran sanctions, the increase has helped push down crude oil prices. Saudi cuts output as bear market forms. OPEC is scrambling to stop the slide in oil prices. Saudi Arabia announced that it would cut exports by 500,000 bpd in December, and it is working with OPEC+ to engineer a collective cut of about 1 mb/d, which could be on the table at the upcoming meeting in Vienna in early December. The cuts are needed as the market is suddenly awash in fresh supplies. “The market now increasingly looks concerned about the prospect of too much supply,” Norbert Ruecker, head of macro and commodity research at Swiss bank Julius Baer, told Reuters. Big Oil’s reserves fall to lowest level in a decade. Last year, the five largest oil majors saw their “proven reserves life” fall to the lowest level in a decade. 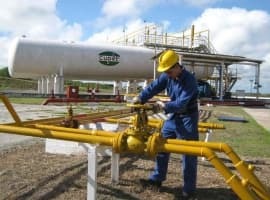 The majors slashed costs after the oil market downturn in 2014, and that has translated into several years in which they have produced more oil than they have discovered, leading to a significant decline in life of their reserves. The flip side of that is that investors no longer prioritize growth above all. Companies that have continued to pursue growth, such as ExxonMobil (NYSE: XOM), have seen their share prices lag their peers, the Wall Street Journal writes. 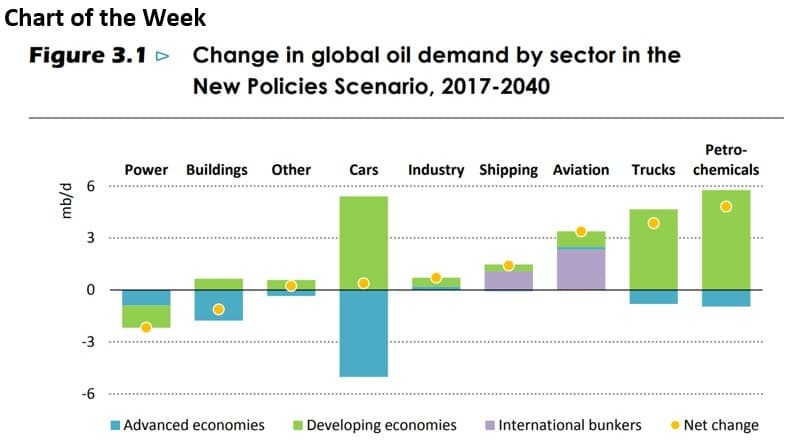 IEA: Oil demand to peak in 2040. The IEA said in its World Energy Outlook, out on Tuesday, that oil demand will continue to grow by about 1 mb/d per year through 2025, after which demand growth slows to 0.25 mb/d before peaking in 2040. The IEA sees EVs slashing demand by about 3.3 mb/d by 2040. Still, demand grows on the back of petrochemicals, aviation and heavy trucking. California to replace gas plants with batteries. California’s PG&E (NYSE: PCG) plans on replacing three natural gas-fired power plants with battery-storage systems. The California Public Utility Commission approved the utility’s plan, which came after the commission ordered the company to look for replacements to the gas plants. 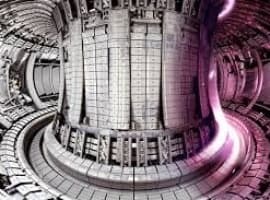 Tesla (NASDAQ: TSLA) has one contract with PG&E for an energy storage system. New Bakken pipeline proposed. Phillips 66 (NYSE: PSX) and Bridger Pipeline have announced an open season to gauge interest in a new pipeline that would carry Bakken oil to Corpus Christi, Texas. The proposed Liberty Pipeline would carry 350,000 bpd from North Dakota to Wyoming, tying into other infrastructure there. 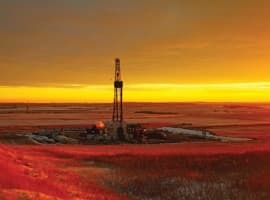 North Dakota might see pipeline capacity maxed out as production continues to rise – output stood at 1.29 mb/d in August, and the region has pipeline and refining capacity to handle 1.37 mb/d. Justin Kringstad, director of the North Dakota Pipeline Authority, says that North Dakota’s oil production could increase to 2 million to 2.3 million barrels per day, but that would require more takeaway capacity. Digitalization could save oil industry $75 billion annually. The upstream oil and gas industry could save $75 billion per year through digitalization, according to a new report from Wood Mackenzie. Using data, machine learning algorithms, artificial intelligence, robots and an array of other technologies, the industry could cut costs, extend the life of mature fields, and ultimately recover more oil and gas reserves. Volkswagen to sell EV for less than $23,000. Volkswagen said it would sell EVs for less than 20,000 euros, and the ramp up in production of EVs could mark a dramatic shift for the automaker, which as of now, is the continent’s largest manufacturer of gasoline and diesel vehicles. Hey, what happened to those $100/bbl. predictions once sanctions hit ?